Action Chemical stocks several sizes of High and Low Density Liners including a full line of Bio-degradable bags. If a custom size is what you’re looking for, we will have it made to your spec. Additionally, we offer a complete line of Medical Waste Liners. Since 1975 Colonial Bag Corporation has helped all types of businesses deal with a messy problem…garbage. Since every business has different waste handling needs, their products and services are tailored to ensure that those differences are recognized and your particular problems are solved. Action Chemical has partnered with some of the leading manufacturers in the cleaning chemical industry. From disinfectants to floor finishes…we have you covered. 3M facilities care and cleaning solutions enhance protection, performance and productivity for the life of a building. Whether you need cleaning supplies and janitorial supplies, facility maintenance materials, or specialty items from floor mats to safety tapes and treads, 3M™ products deliver. 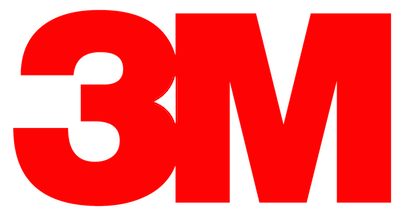 3M also provideS industry-leading Scotch-Brite™ products for food services cleaning needs, from griddle cleaning to appliance cleaning, as well as food quality and food safety products. For more than 50 years, Canberra Corporation has been a leading manufacturer of cleaning chemicals for the commercial, institutional, and industrial markets. Incorporated in 1964, Canberra began operations as the manufacturer of “Spiffy,” a toilet bowl cleaner sold on retail shelves. Today, Canberra is the partner of choice to the chemical industry offering a comprehensive array of services and liquid cleaning products from everyday to highly specialized cleaning products and innovative dispensing systems. Canberra products are marketed nationally under the Husky® and JAWS® (Just Add Water System) brands. For over 50 years Nilodor has been helping businesses to keep their establishments fresh and sanitary. Nilodor’s unique proprietary odor neutralizer is formulated into each product to effectively control and eliminate odors. In our 50 years we have not only learned how to manufacture industry leading cleaning products, we have become experts in using them to solve the problems for which they were created. Visit our Professional Cleaning Tips page to see how our products are used in the following areas. Zenex is proud to offer one of the industries most complete aerosol product lines, a comprehensive liquids division, an advanced hand cleaners division, and now a new wipes division. Cleaning Tools are an essential part of getting a job done efficiently and safely without sacrificing quality. We work with multiple companies that handle these “tools of our trade” to meet the goals of the end user. At Impact, our mission is to provide quality products at competitive prices, while using a team environment to offer superior customer service. We continually strive to maintain our motto “The Friendly, Flexible Company” and do so with the best in people, processes and products. The market leader in the Sanitary Supply and Retail Cleaning Fields. Adopting this as the company’s mission, Unger strives to produce high quality, innovative tools that help professionals clean more productively and safely, as well as offer superior customer service to both end-users and distributors. Today, Unger is an international company and has been manufacturing professional cleaning tools for more than 50 years. It has offices and manufacturing facilities in the United States and Germany, and sales offices in the United Kingdom, and India. Unger now provides innovative cleaning solutions to more than 80 countries worldwide. Rubbermaid Commercial Products, headquartered in Winchester, Va., is a manufacturer of innovative, solution-based products for commercial and institutional markets worldwide. Since 1968, RCP has pioneered technologies and system solutions in the categories of food services, sanitary maintenance, waste handling, material transport, away-from-home washroom, and safety products. RCP, an ISO 9001:2000 manufacturer, is part of Newell Rubbermaid’s global portfolio of brands and continues to develop innovative products. We provide our customer with a complete offering of cleaning equipment. From vacuums to industrial floor scrubbers and everything in-between. In addition to handling equipment, we also have a full service maintenance department that services all equipment repairs. ProTeam is recognized as the original innovator of lightweight ergonomic backpack vacuum cleaners. Through continued research and development, our mission is to be the premier manufacturer of high performance vacuum cleaners for every commercial cleaner’s need or preference. Today we have 25+ different vacuums for all cleaning applications. Tornado Industries, Inc. is dedicated to delivering “Best-in-Class” commercial and industrial cleaning equipment and after-sale service that meets and exceeds the expectations of our customers. Developed for cleaning professionals, by cleaning professionals, Tornado’s machines are created to maximize cleaning efficiency and speed, minimize the impact of cleaning on indoor environments, and reduce the total cost of cleaning. Through Dial and Deb, two leaders in today’s hand care market, we provide our customers with professional and industrial hand soaps as well as a complete line of hand sanitizers. This preference for the Dial® brand extends to the away-from-home market as well, where the people who work in your facility, check into your hotel and visit your hospital are the same people using Henkel products in their own homes. They have come to rely on the consistent high quality of our products, a standard we are proud to assure through our stringent product development and manufacturing processes. For over 70 years, the Deb Group has been establishing skin care regimes for all types of workplace and public environment, spanning industrial, commercial, healthcare and food sectors. Deb Group comprises 22 companies operating in 17 countries. We estimate that 40 million people use our products every day. At Action Chemical we provide you with a complete offering of industrial matting. Indoor/Outdoor, standard and custom sizes are all available. The Andersen Company legacy began in 1974. Since those early beginnings, The Andersen Company has become the leader in the development and production of solution based high performance mat products. Our commitment to customer service, fast accurate shipments and product quality is unsurpassed. Superior Manufacturing Group, the makers of NoTrax®, Akro™, APEX™, and HomeTrax Designs™ floor matting products, has added new updated designs to the Safety Message Mat product line. These pre-printed mats warn employees who may be entering a hazardous area, may need special ear or eye protection, or can just act as a reminder to think and act safely in work environments. Our customers have the latest technology in the Microfiber Cleaning Industry available to them through our preferred vendors. We stock a full line of microfiber towels, mops and cleaning tools. We have put together the most comprehensive line of high performance cleaning fibers systems in the world. Our impressive leadership and world-wide relationships are extended to our customers through unsurpassed global manufacturing. CPI takes the finest products even further by offering comprehensive training at all levels to assure the right product are being used for the right application. We are Creative Products International, the Microfiber Company. We work with several companies for your paper product supplies, stocking a full range of toilet paper, hand towels, facial tissue, wipers and dispensing systems. Wausau Paper has a long history of offering environmentally preferable products. This is evidenced by our producing 100% recycled towels and tissue for over two decades and became the first paper company to offer a complete line of Green Seal-certified products. Believing in our green platform, Wausau Paper invested in innovative papermaking technology to offer premium green products, again changing the way the market views environmentally responsible products. The Tork brand offers a complete range of products and services within hygiene and cleaning for professional washrooms, healthcare, food service and industry. Through customer understanding and particular expertise in hygiene and sustainability, Tork has become a market leader in many segments and a committed partner to businesses in over 80 countries. 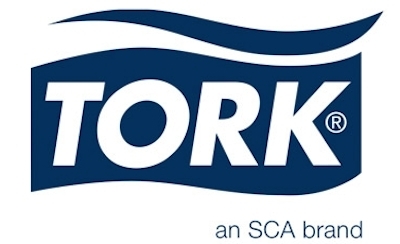 Tork is a global brand in the SCA hygiene portfolio. Tork entered the North American market in October of 2007. As a North American towel and tissue manufacturer focused on away-from-home distribution, Solaris Paper is thinking smarter every step of the way. Our vertically integrated business model provides tremendous flexibility, along with responsibly-managed sourcing of Rapidly Renewable Fiber (RRF) and sustainable manufacturing operations. Paper Products: Towels, Bathroom tissue, Jumbo roll dispensers, Wipers, Facial tissue, Folded Towel Dispensers, Napkins, Roll Towel Dispensers and more! Featuring Advantage Brands: ReNature®, ProNature® and Softness®. Skin Care Products: Tidyfoam® Soaps & Dispensers, Tidy System Bag-in-Box, Metered Dispensers. Action Chemical carries everything from your standard trash container to your high end decretive waste receptacle. We also specialize in recycling and waste management systems. Besides offering our customers the tools and products to get the job done, we also provide them with products to keep them safe. Disposable gloves, safety glasses and isolation gowns are just a few of the safety products we stock. The Safety Zone, Established in 1973, is a leading manufacturer of quality gloves and other personal protection products. Our experience supplying the industrial safety, janitorial, food service, food processing and medical markets extends worldwide. We’ll customize our services to fit your objectives, adding valued insight that, in combination with our comprehensive selection of superior PPE products, will enhance your sales. From a one case order to a full container or truckload, we have the ability to meet and exceed all of your needs.